Australians are geniuses at creating affectionate names for absolutely everything including poker machines. We refer to them as pokies and these machines have a long history in our nation, but date back further in the US where they refer to them as slots. When they made their way from America to Down Under in the 50’s we adopted them as our own. 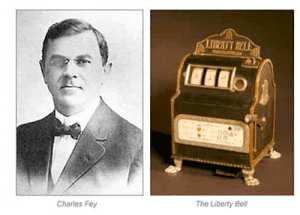 Charles Fey invented the first ever poker machine. The pokies date back to the late 1800’s with a car mechanic from San Francisco, California, known as Charles Fey, behind the basic concept of the machine. Fey created a 3-reel machine with an array of simple symbols including the suits from cards – hearts, spades, and diamonds – as well as the iconic Liberty Bell which we still see today. If players managed to line up three Liberty Bell symbols a player would receive a payout – around 50 cents which was considered a lot back then. These machines were a massive hit and although they became banned in Fey’s state he still had a large demand all around America, so he kept producing these machines. The first machine ever, which Fey created, can be seen at Liberty Belle Saloon and Restaurant in Reno, Nevada. The machine spread all over the world and eventually came Down Under. Clubmaster was one of the first poker machines in Australia. The first poker machine reached Australia in the early 1900’s but these machines were banned – this didn’t stop Aussies from playing them though. 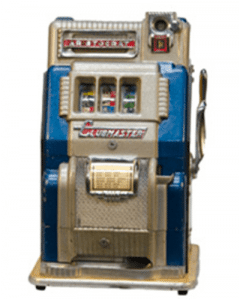 While the machines were still illegal, an Australian based company which are now responsible for hundreds of pokies found around Australia, Aristocrat, created their version of the pokie machine called ‘the Clubman’ in the 1953. Two years later another machine followed known as the Clubmaster, many of which are still available in Australia – as collector items. Finally, a year after the release of Aristrocrat’s enhanced machine, the New South Wales government legalised pokies – no doubt Senator Nick Xenophon has a voodoo doll for the people behind the bill approval. It wasn’t until 1976 pokies were legalised in the Australian Capital Territory, 1991 for Victoria and Queensland, 1992 for South Australia, 1997 for Tasmania, and finally 1998 for the Northern Territory. They are still illegal in Western Australia, except for at the casino. 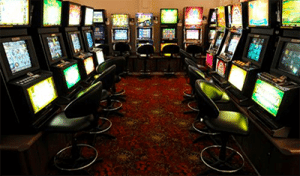 By 1999 all states and territories, excluding WA, had legalised pokies and there were approximately 180,000 machines in the country, with 90,000 located in casinos, pubs and clubs in New South Wales. Adelaide Casino was the first casino to get poker machines. The first casino in Australia was the Wrest Point Hotel Casino in Tasmania and was established in 1973. Pokies were still illegal in Tasmania at this time and weren’t introduced until 1993. So, while this casino was the first in Australia, it wasn’t the first to have pokies. In fact, the first Australian casino to offer pokies was the Adelaide Casino, which was licensed to operate the machines in 1991. So, while poker machines were everywhere in pubs and clubs in New South Wales, they weren’t yet available in casinos – since a brick and mortar casino wasn’t yet available in the state. The Star Casino didn’t open until 1995, so the state was slow to have a casino offering the pokies. When it did hundreds of pokies were available, which has now increased to 1499 – 1500 is the maximum legally allowed. All casinos in Australia now offer poker machines – except Canberra Casino despite it being legal to play in pubs and clubs. Crown Perth is the only venue in WA which is legally allowed to offer poker machines too. 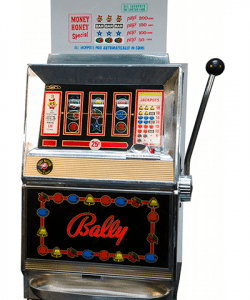 Bally was behind the first first electromechanical poker machine. When Fey first invented pokies, there wasn’t much to them. Players just needed to line up the bell symbols on the 3 reels for a payout. As the mechanics of the machine began to advance, so did the features. The early 60’s saw the first electromechanical pokies machine in the world – known as Money Honey by Bally Gaming. What was so different about this machine was the side lever was deemed not as important and the addition of a bottomless hopper which offered an automatic payout of up to 500 coins without need of an attendant’s assistance. But it wasn’t until the late 70’s that the first video poker machine – the kind we see in pubs and clubs today with bright video animations – hit the scene. Created by Fortune Coin Co. in Kearny Mesa, California, a Sony Trinitron colour receiver was used for the display and a huge machine cabinet was created and the first round of the Fortune Coin machines, with 5 reels, were trialled in Las Vegas in the Hilton Hotel. While America got the first video pokies, Australia had the first video pokies with a second screen bonus feature – the pokie Three Bags Full, created by Aristocrat, was released between 1994 and 1995. Here the display changes to offer a new game, where an additional payout can be won – as available on most online pokies these day. This beat the first American poker machine to offer this type of bonus as the Reel ‘Em In title created by WMS Industries Inc. wasn’t released in the US until 1996. Around the same time, pokies were making the the transition from land-based venues to online and this has meant a whole new video gaming dynamic has been introduced. Online poker machines feature more paylines, ways to win formats, more bonuses, interactive games, and bigger payouts. 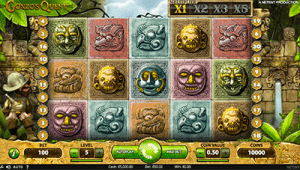 You can play up to $50 per spin on Gonzo’s Quest online. Since the pokies were first introduced to Australia, the maximum bet has risen. In 1988, when pokies were legal in NSW and ACT, the maximum bet per spin was increased to $10 per play which has been the benchmark for pokies all around Australia. In recent times, some states and territories, including NT SA, QLD and Tas, have limited the maximum bet per spin on the pokies from $10 to $5 per spin. But there’s been a call for all pokies, nationwide to have a $1 maximum bet per spin limit which could indeed be the future for Australian poker machines.